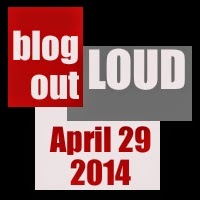 Blog Out Loud Ottawa is Back! At the Writer's Festival, no less! Here's something pretty amazing: Blog Out Loud Ottawa is at the Writer's Festival this year. If you've never been, and you love blogs, then this might be right up your alley. BOLOttawa (as the kewl kids call it) is a gathering of local bloggers and blog fans who meet to listen to a stream of local bloggers read a compelling post from their blogs, written in the previous year. It's an opportunity to hear a blogger read a post that means a lot to them using their own voice and intonation. It's an opportunity to meet some local writers on a wide variety of topics who use their blogs as their main medium. It's an opportunity to browse a showcase of images by local photo bloggers. It's an opportunity to meet a lot of new people thanks to frequent networking breaks. It's an opportunity to fill your RSS reader with a whole lot of new material for the coming year. It's an opportunity to get to know some of the voices in your community. It's an opportunity to hear some really funny, really brave, really beautiful and really personal stories. It's an opportunity to get inspired. Not doing it for you? Fine, I'll resort to name dropping: how about Claire Fowles from FoodiePrints, Ross Brown of The Brown Knowser, Jordan Danger of Girl, Crafted and so many more. Yes, this is an opportunity to put a face to the name you stalk online. You can see the full list and check out the most delicious bios ever written on the BOLOttawa blog (although every single person showcased denies that they are nearly as incredible as Lynn makes them out to be ;). As for me, I will be multitasking this year: both reading (*gulp*) and live tweeting the entire event from the @Bolottawa twitter account. If you're interested in joining us, here's the best part: this one of the FREE events at the Writer's Festival. w00t! We'll be at Knox Presbyterian (120 Lisgar at Elgin) from 6:30pm on Tuesday, April 29th (that's next week!). No tickets required although seating might be limited! One note: they are a stickler about starting on time, so don't be late! Check out the BOLOttawa website for additional details.